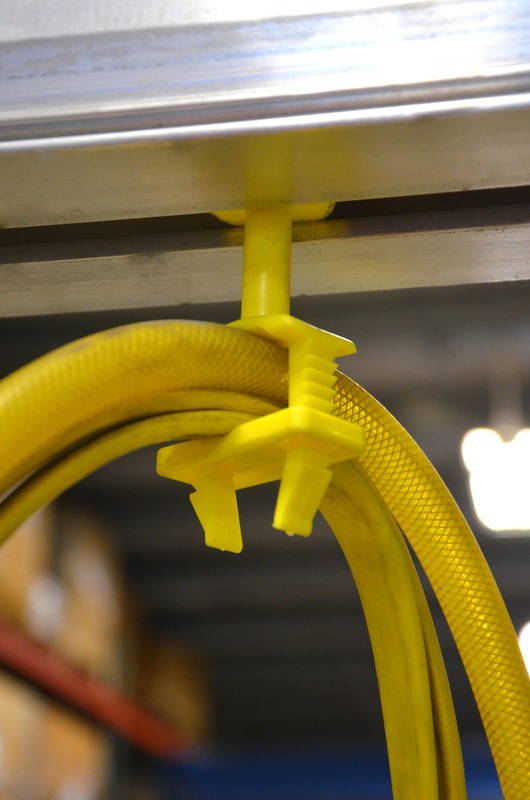 Every part of your overhead crane has a function. 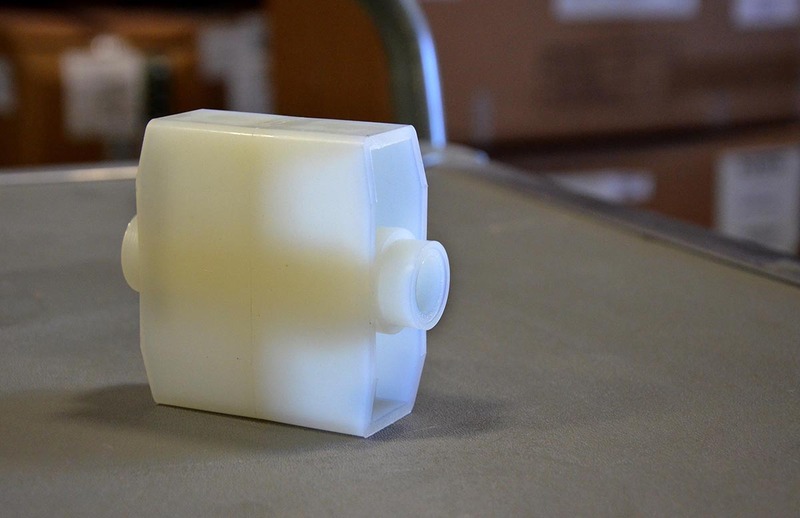 Below, we detail what each part is and what that part does for your lifting solution. End trucks provide the connection between the bridge and runways. They are designed for effortless movement along the runway. 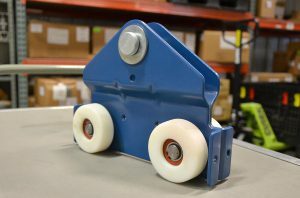 For example, in the Gorbel enclosed track system, wheels are tapered to match the 2° taper of the track, which reduces rolling resistance and wheel wear. Wheels contain ball bearings that are sealed and lubricated for life. 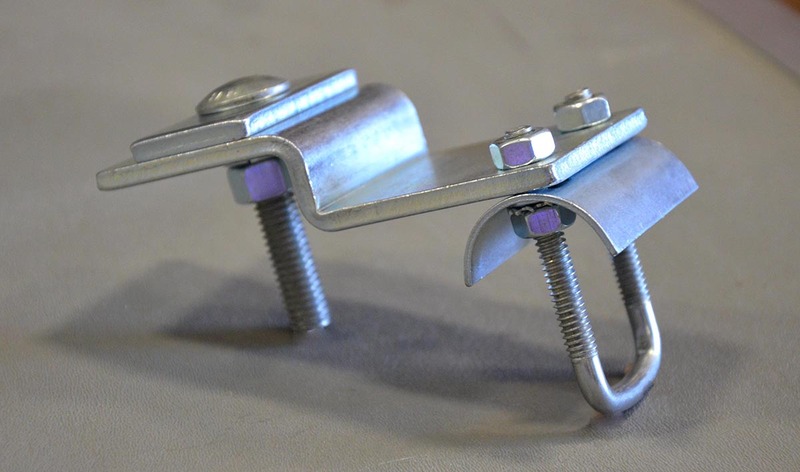 Festoon gliders are used to support flat cable along steel runways and bridges. 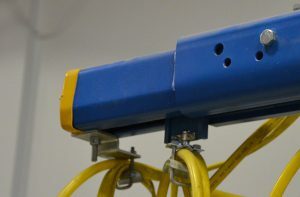 Festoon trolleys are used to support flat cable and/or air hose along the runway or bridge much like festoon gliders. 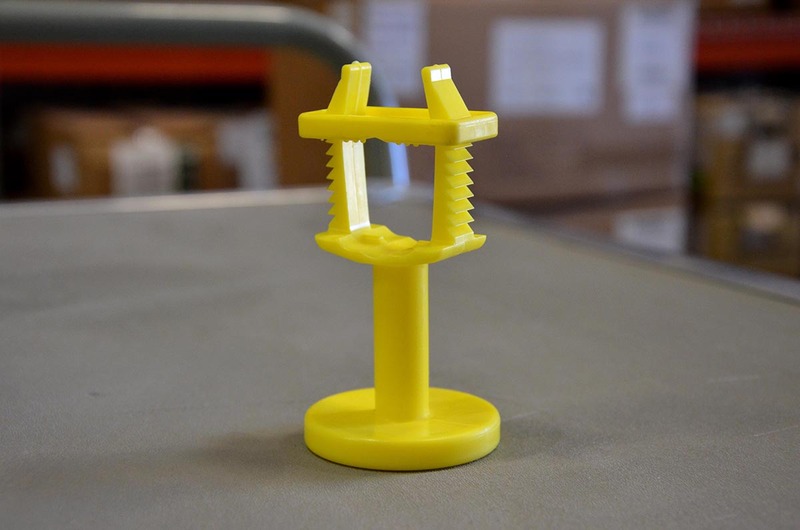 Festoon trolleys have four wheels and a pivoting festoon saddle support. 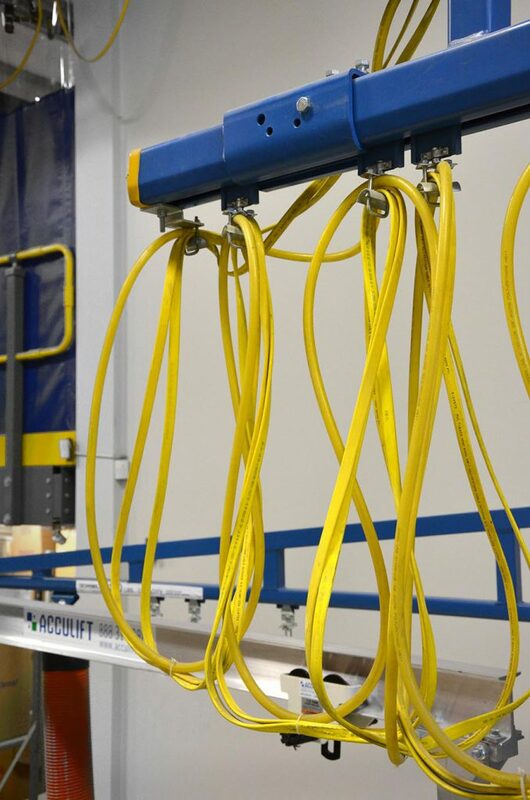 Festoon trolleys are used when the track length exceeds sixty feet or in aluminum tracks. Festoon clamps anchor the festooning at the start of the runway and bridge. 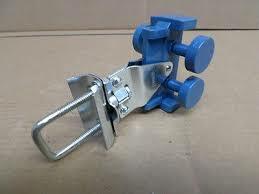 They also prevent the festoon gliders from exiting the track. 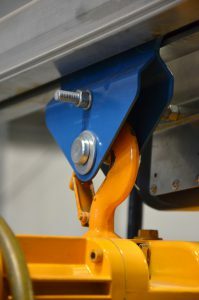 Bolted to the track, the high-impact molded end stop bumpers are on the ends of runways and bridges to prevent the end trucks and trolleys from leaving the track. 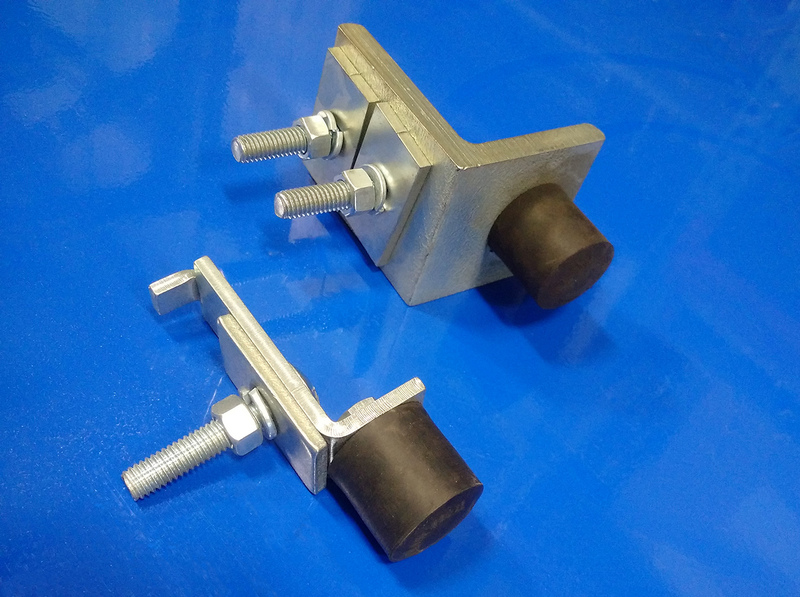 An adjustable bumper can be used as a secondary end stop and are usually installed inside the enclosed track. A stack section at one end of a runway serves as an extension to the runway that allows festoon carriers (trolleys and gliders) to be stored (or stacked) on the end of the runway. This ensures that the crane coverage isn’t reduced by the festoon trolleys or gliders. 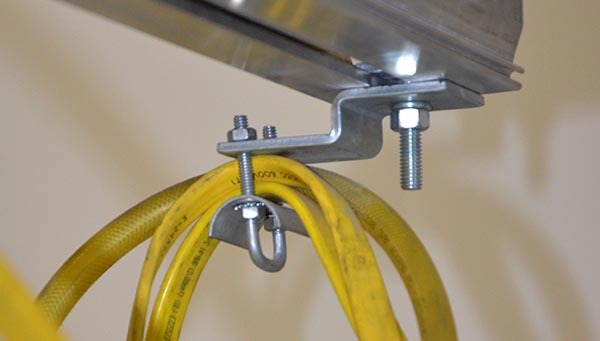 Typically, a flat cable festooning system is included in all work station bridge cranes. Enough cable is provided for 3-foot loops on the runway and 1-foot 6-inch loops on the bridge allowing for the entire length and reach of the crane system. An optional air hose is also supported by festoon trolleys. Need help finding parts for your crane? We can help!